Croatia has so much beauty to discover and unique things to do, especially in the summer. With endless islands, delicious Mediterranean food and a climate that will make you never want to leave, Croatia is the perfect place to spend your summer holiday. I have asked the top travel influencers for their recommendations on all of the unique things to do in Croatia that you cannot miss this summer! The region of Istra in northern Croatia is a famous holiday destination due to its beaches and its historic cities such as Pula and Rovinj. 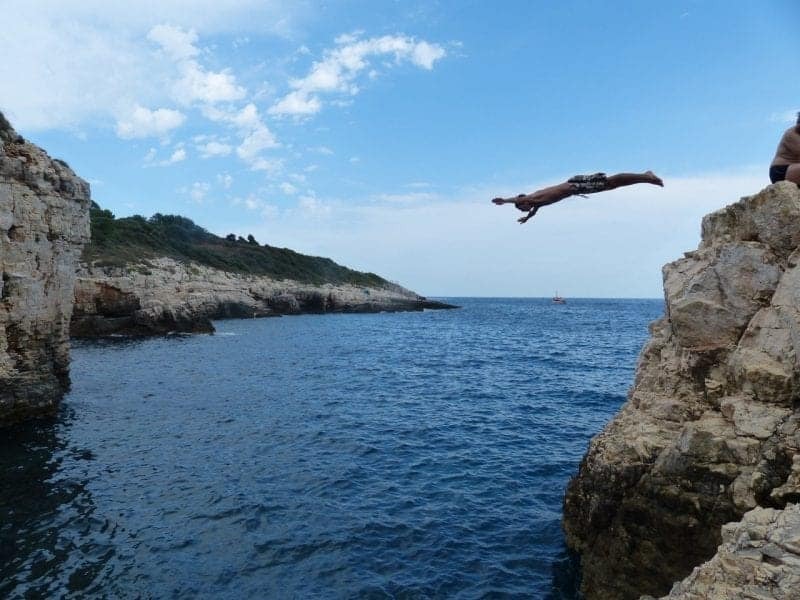 However, your trip to Croatia doesn’t need to be all about sightseeing and relaxation – if you’re adventurous and an adrenaline-junkie, you have to go cliff jumping! Just outside of Pula on the southern tip of Istra (called Kamenjak Peninsula), there’s the Galebove Stijene beach with several incredible cliffs ranging in altitude levels to up to 13 meters, from where you can jump into the crystal-clear water – and it’s so much fun! And even if you’re not that adventurous, it’s worth a visit – just watch the others jumping down and marvel at the incredible rock formations. The water here is also great for snorkelling, and there are even some caves under the cliffs which you can explore. A visit is definitely worth it! The perfect way to spend a sunny evening? Sat in a beer garden of course. But how about sat in a beer garden sampling a float of different locally produced beers as the sun goes down in one of the hippest cities in Croatia? 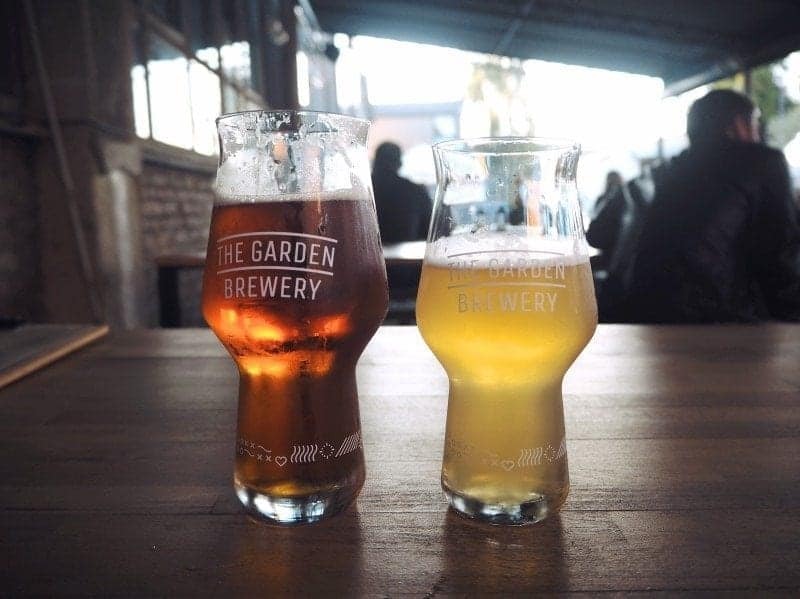 Zagreb’s beer-loving locals flock to The Garden Brewery, a microbrewery and bar in a warehouse on an out-of-town industrial estate. It has a great range of craft beers, with everything from an amazing sour to a very drinkable IPA. To soak it all up, you can eat a veggie/vegan burger at the on-site burger bar. Beertija: has a good selection of craft beer, including from The Garden Brewery. Craft Room: a cosy and 100% no-smoking bar (a rarity in Zagreb). Ro & Do: another characterful bar. Hvar is a stunningly beautiful island off the coast of southern Croatia, easily accessed from Split by ferryboat. It boasts reasonably priced accommodations, delicious food, friendly locals, and is quickly becoming a popular party beach town for young Europeans on summer holiday. If you’re looking for more rest and relaxation, we’d recommend renting your own 5 horsepower boat and checking out the nearby islands. For the bargain price of 400 kuna (~$60 USD) you will have a little motorboat all to yourself for the day with gas included. Load up on some local Croatian wine, snacks, and a floaty, and then set off early in the day. You’ll get a hand-drawn map and a few recommendations from the boat rental agency so you can slowly cruise around the islands, on the hunt for the perfect secluded beach. Once you find your spot you’ll never want to leave! Do you love sunsets? 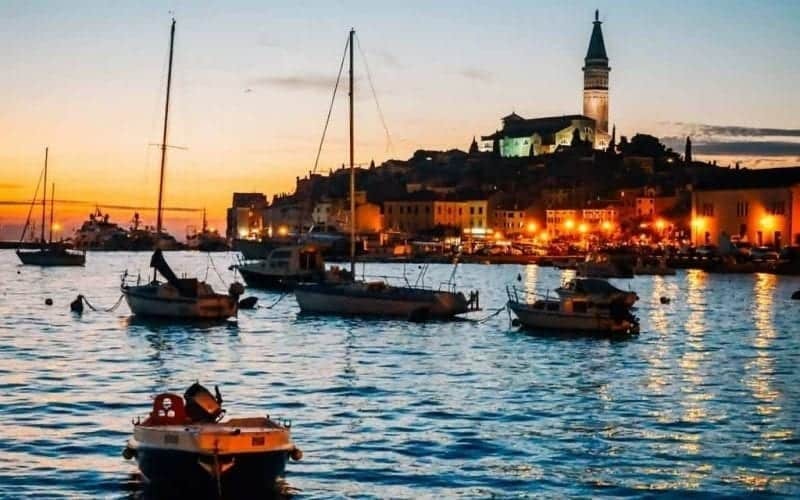 Then head to Croatia’s Istrian peninsula and visit Rovinj. This coastal city is the home of the endless sunset. Somehow the sun seems to linger in the sky for longer than anywhere else. As dusk approaches, find a special place to watch the sun dip under the horizon. Valentino Bar is a romantic spot to enjoy a drink as you dangle your legs in the sea. Or enjoy a seafood feast at Maestral, a popular waterfront restaurant. But I think the perfect way to catch a Rovinj sunset is to join a sunset cruise out on the sea. Leaving each night from the harbour, the cruise takes you out to the archipelago where dolphins play in the dwindling light. If you end up visiting the coastal city of Split in Dalmatia, a morning visit to see the outdoor farmers markets and the seafood market is a must. Spending the morning to see the colorful stalls, people and food being sold at the markets is a treat and you can sample some of the wonderful local foods, perishable foods and other finished goods for sale in the mostly local market. A little distance in the old town is the fish market which sells the most amazing seafood sourced from the regional waters and fished the night before. The scene is lively, loud and very colorful – a perfect combination to observe and take some wonderful photographs of both markets. You can check out more Split market details here for images and inspiration to visiting the Split marketplace. When in Croatia, I highly recommend renting a car and exploring the stunningly beautiful Croatian coastline between Dubrovnik and Split. 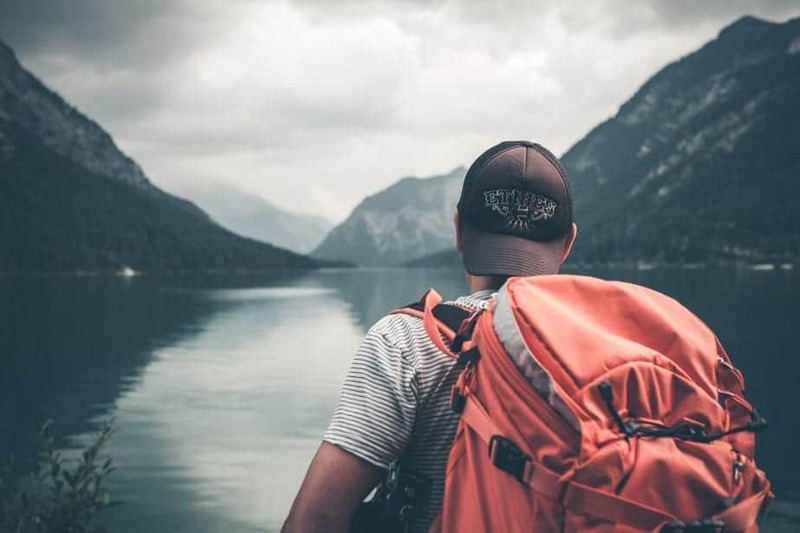 Not only are the views out of the window incredible, but there are so many places you’ll want to stop at along the way. 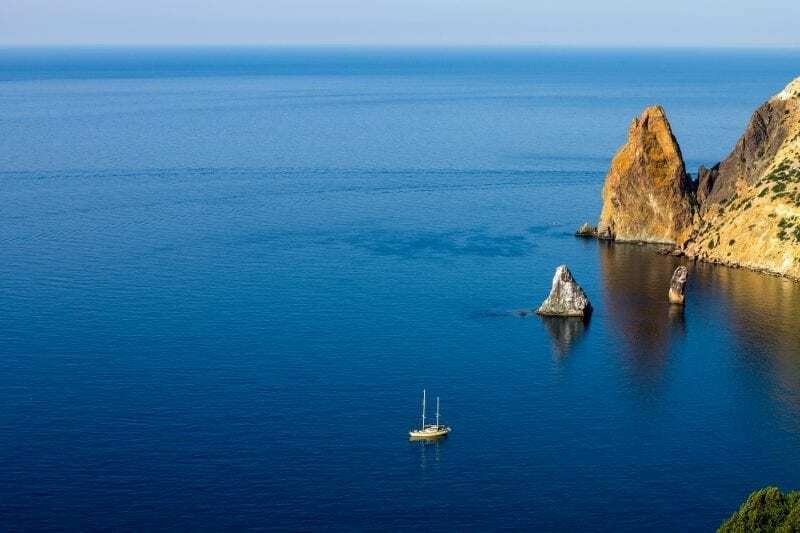 Whether that be to swim in a little cove with azure water and relax on white sandy beaches or stop at a little village where you can find some of the freshest seafood in the Mediterranean. The beauty of a relaxed road trip is that you can be spontaneous and stop whenever something catches your eye. We drove over a bridge looking onto the prettiest river and I caught sight of a sign for sea kayak hire. 5 minutes later we were in a kayak having an adventure on the river. My top tip would be not to rush a road trip and allow yourself plenty of time to be spontaneous. Motovun is a small town in the Istria region of Croatia is what I like to call The Town of Truffles. Here in this hillside town truffle everything – truffle oil, truffle butter, truffle ice-cream, truffle cheese, truffle pasta, truffle alcohol. The forests surrounding Motovun are covered in pedunculate oak, abundant in continental Croatia, which provides the some of the best white truffles. Besides just walking around tasting truffle supplies you can actually go truffle hunting with local operators. It may take you a few hours, but at the end of the forest hunt, you will be rewarded with delicious homemade truffle meals from a very special part of the world. 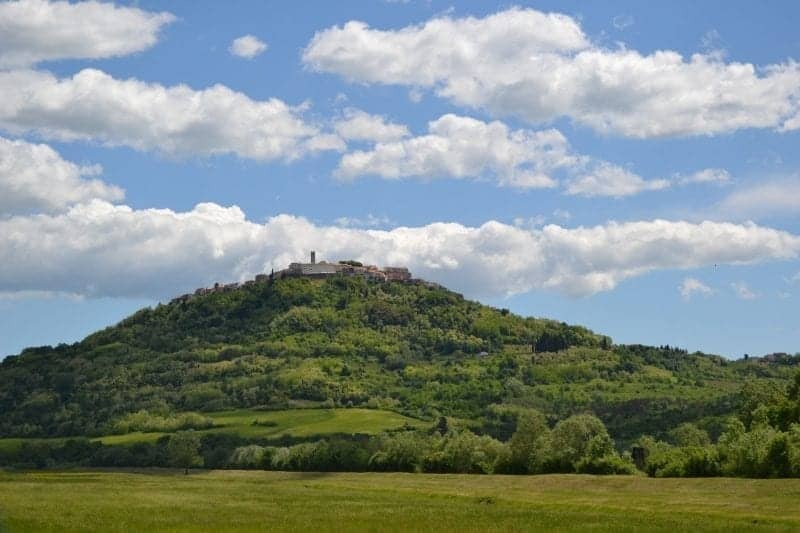 Besides truffles Motovun is also great for hiking and biking and just taking in the incredible views. 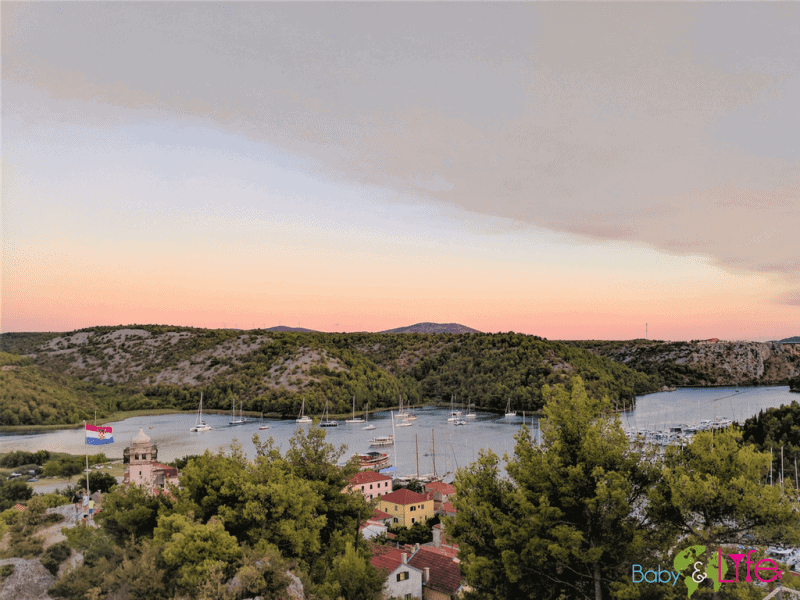 The scenic and serene town of Skradin is filled with energy during the summer months and while many use it merely as a pit stop on the way into the Krka National Park, it warrants a proper stop at because it truly is a hidden gem. Its pedestrian only downtown core by the waterfront is filled with shops, cafes and restaurants serving the famous Skradin Risotto and Skradinska Torta. Sure you could go for a swim but you could also go hiking, canoeing and tour through the many wineries in Skradin. Adventure and leisure travellers will find this idyllic town’s sunsets stunning, aquamarine waters refreshing and its people warm and welcoming. There’s a charm to Skradin that’s well worth discovering! Swimming in a crystal-clear pool in front of beautiful waterfalls–it’s hard to imagine a more idyllic summer day in Croatia than that! Krka National Park is home to plenty of great hiking trails, wildlife, and a small outdoor museum that shows what life on the river looked like before the Industrial Revolution… but as wonderful as all of those things are, it’s the waterfalls that are the real showstopper. 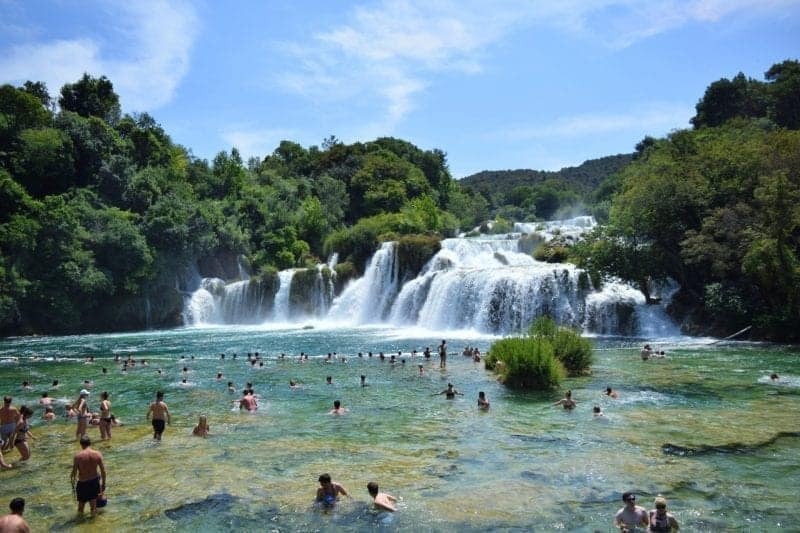 You can access Krka National Park as a day trip from several popular Croatian coastal towns, including Sibenik and the ever-popular Split. Be sure to pack a swimsuit and some money for ice cream before heading out for a perfect summer day at Krka National Park! Pula with surrounding villages is our favourite Croatian destination. The coast, the old centre and local food keep calling us back. We have visited Aquarium Pula twice so far. It is housed in an Austro-Hungarian fort Verudela, and is bigger every time we visit. You would never guess it was once used as a dump site for an Italian company. Now renewed it also hosts a rescue center for sea turtles. Fort is not stroller or wheelchair friendly, so we used our baby carrier. There is a designated stroller parking space outside. Aquarium has a small picnic space and a child playground at the ground level (used to be the moat), next to the turtle pond. Tired of checking out all 211 sorts of the fish, reptiles and amphibians? 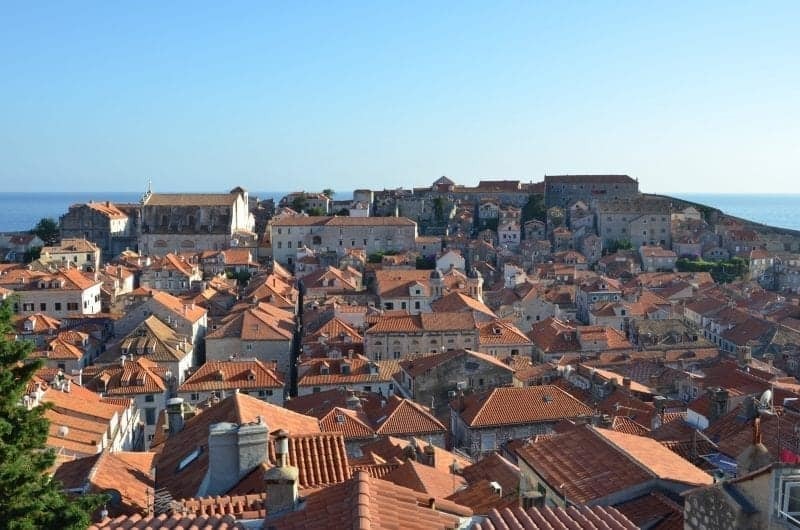 Climb to the roof, where the old cannon used to be and admire the sea and islands from above. Varaždin happened quite by chance. We had a day spare while staying in Zagreb when a friend suggested train travel to Varaždin located about 80 KM North of Zagreb and we didn’t regret the decision at all. The town, though small, bore testimony to the fact that in the middle ages, it was the Capital of Croatia (Yes Sir!) and anyone who was someone had a palace in Varaždin. This 12th century town was perhaps one of the best-preserved town with its beautiful houses and baroque palaces. While the Sermage Palace, one of the iconic buildings, now playing host to the Gallery of Old and Contemporary Masters, the Herzer Palace is now the Entomological Museum and has one of the biggest collection of insects. Most impressive iconic structure is the 14th century Varaždin Fort, with all the trimmings including a drawbridge and a watchtower. This is also called Stari Grad or Old town and is now a museum, housing artefacts, paintings other objects that showcase Varaždin’s noble and rich past. For those so inclined we recommend a visit to the well-manicured and a beautiful cemetery. The tree and bush lined walking tracks of this peaceful final resting place, is less than a kilometre from the fort. 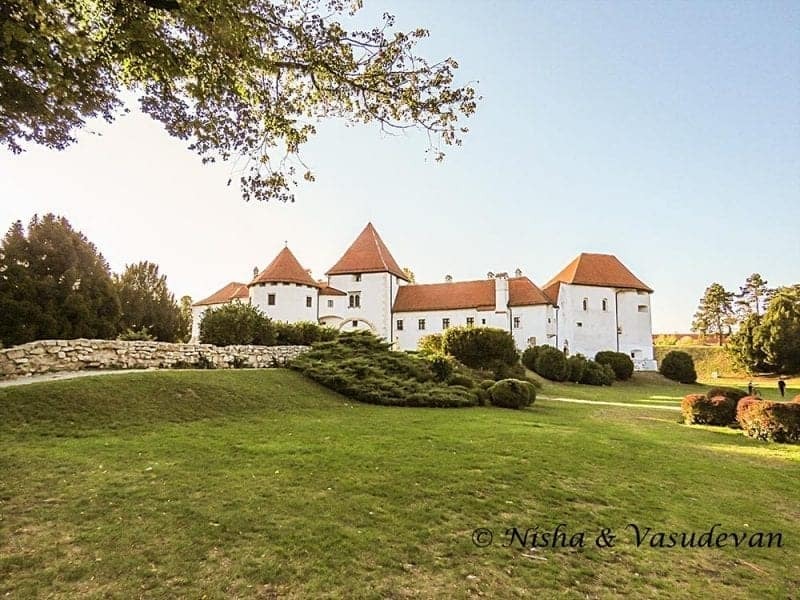 Varaždin is also famous for Varaždin Baroque Evenings, a music festival held in September and its University – one of the best things to do in Croatia! 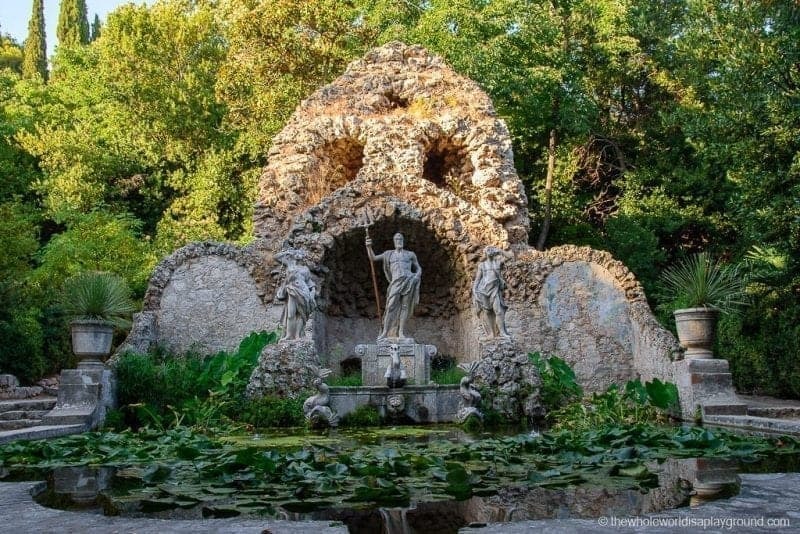 Trsteno Arboretum is a beautiful botanical garden located 18km north of Dubrovnik. The gardens date back to the 1400s and, after featuring in Game of Thrones, have become a popular spot for Dubrovnik visitors. The turquoise Adriatic Sea and the small fishing village of Trestno provide a spectacular backdrop and the view from the terraces are wonderful. The gardens are lush and tropical and a chorus of frogs welcomes visitors to its paths. One of the highlights is a pond overlooked by statues of Neptune and two nymphs and, as well as the interesting assortment of greenery, there are ruins and sculptures amid the lavender filled air. Game of Thrones fans will recognise Trestno Arboretum as the gardens from King’s Landing and the spot where Sansa met with Lady Tyrell to discuss whether Joffrey will make a good husband for Margaery. Ston was a major fort in the Ragusan Republic, and was very wealthy and important during that period thanks to its salt production. The small town is located in the southern part of Croatia, about 1 hour driving from Dubrovnik. 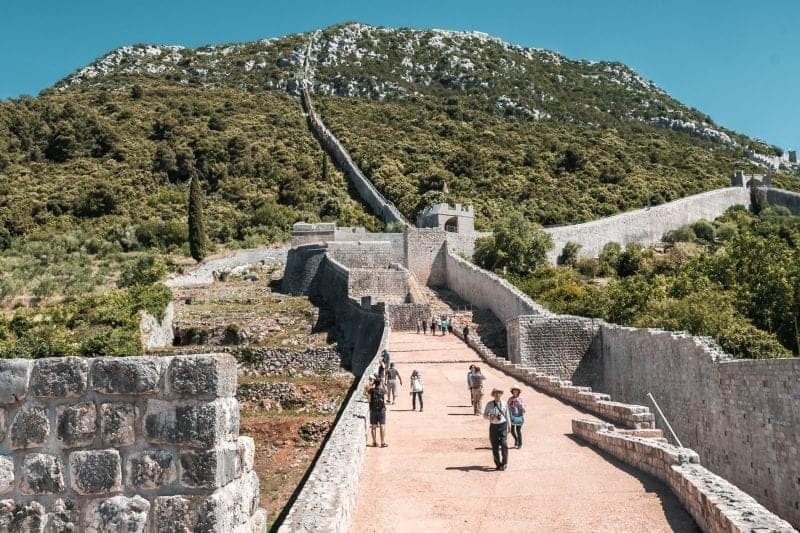 In addition to storage and salt production in large quantities, Ston is also home to the longest city wall in Europe and second longest in the world, after the Great Wall of China. It’s pretty impressive to go for a walk here, and indulge not only in history, but also in some fantastic scenery. If that weren’t enough to get you excited, you can also come here to eat some of the best oysters in all of Europe (if not the whole world). Traveling to Croatia is a great excuse to try out all of the seafood possible. From mussels and clams to fish and everything in between – Croatia is home to some seriously delicious seafood. One particular seafood you can’t miss out on is octopus. Each region in Croatia prepares seafood a bit differently and every chef/restaurant will have their own specialty, as well. However, two common ways you can try the tasty tentacles are either hot or cold. When trying cold octopus in Croatia it will typically be tossed with tomatoes and onions in a light coating of olive oil with salt and pepper – perhaps even tossed over some arugala. If opting to try hot octopus I highly suggest going for a grilled option – it’s typically coated in butter and lemon juice before being tossed on the grill and its delicious. Either way, when opting for octopus in Croatia – you won’t be disappointed! 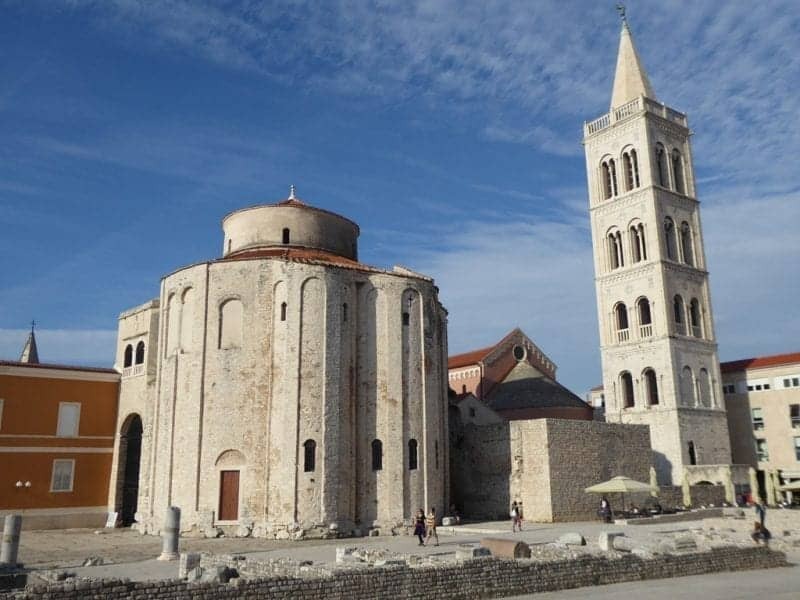 Despite not being one of Croatia’s musts, Zadar is an interesting walled city with a rich history and nice monuments. Start your visit at Zeleni Square, where you can still see some remains of the Ancient Roman Forum and its temples. Today, the square is dominated by St. Donatus Church, an unusual circular byzantine-style church and the symbol of the city. Explore the forum’s surrounding streets and discover beautiful medieval churches, Venetian-style architecture and small squares with nice cafes. 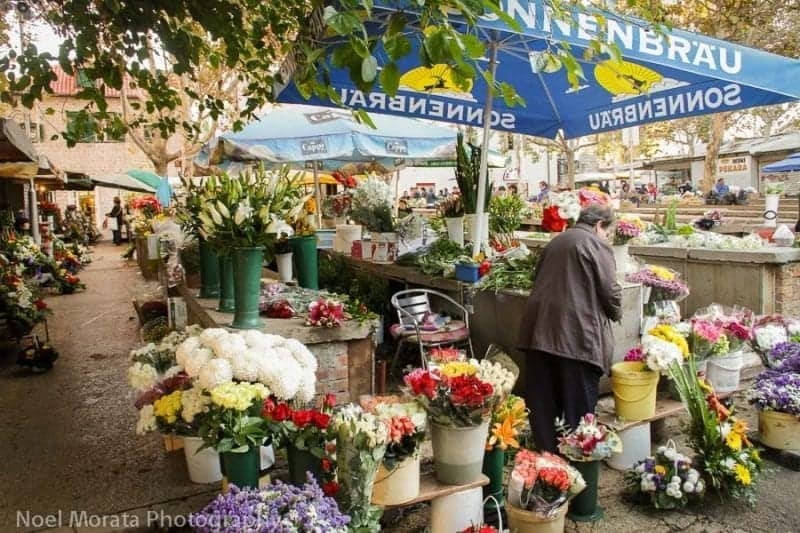 Don’t forget to stop at Zadar’s traditional market, with seasonal products at cheap prices. At sunset, head to the coast to admire the Sea Organ. Zadar’s most popular attraction consists of a system of pipes and whistles built on the perforated stone stairs that descend into the sea. When the movement of the waves pushes air through it, the Sea Organ plays enchanting tones that bewitch visitors and locals alike. Trogir is a historic town and harbour close to Split on the Adriatic coast of Croatia. The tiny town is protected by medieval walls and has beautiful churches, palaces and quaint narrow streets filled with quirky shops and cafes. The Cathedral of St Lawrence is one of its most famous sights and climbing the bell tower is a popular activity which rewards with beautiful views. 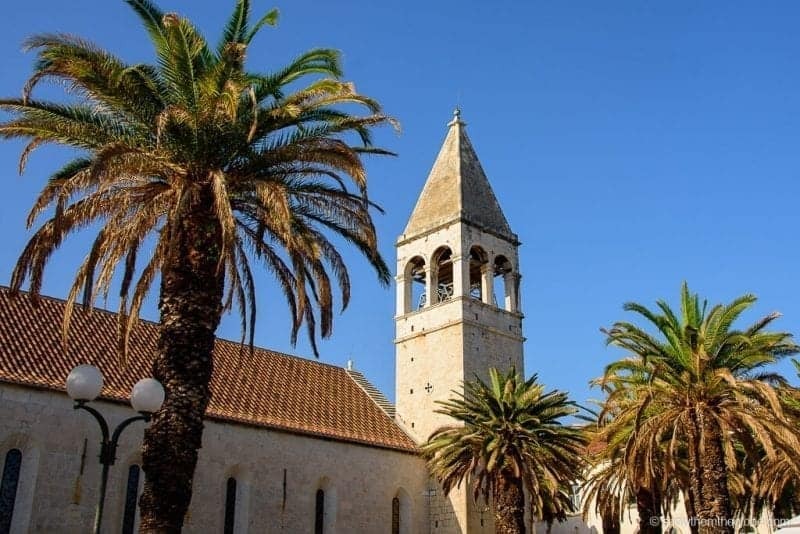 Trogir is a designated UNESCO World Heritage Site and is also famous as a filming location for Game of Thrones with the town representing the trading harbour of Qarth in the popular show. St Dominic’s Monastery i will be instantly recognizable to Game of Thrones fans and it was in Trogir that the Warlocks of Qarth stole Daenerys dragons. A lot of people know The Yacht Week as an ultimate spring break style party trip, but Sail Week Croatia offers an entirely different way to island hop in Croatia. An intimate live aboard yacht experience for up to 10 people, their Adventure Sail Week runs from Dubrovnik to Split with different outdoor activities at each port stop. 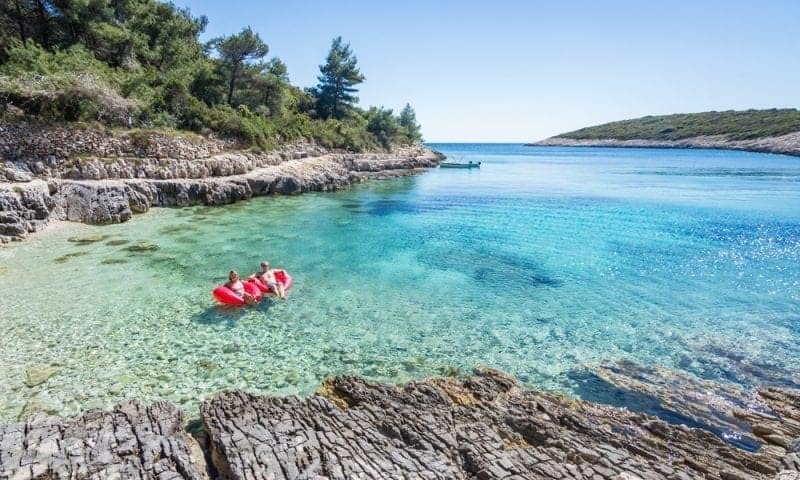 You’ll bike through Mljet Island National Park, hike in Hvar, kayak, SUP, and snorkel, all while sailing 1-3 hours a day. The 7-day itinerary is incredibly affordable with prices starting at a little over $800 for a week in the Adriatic. 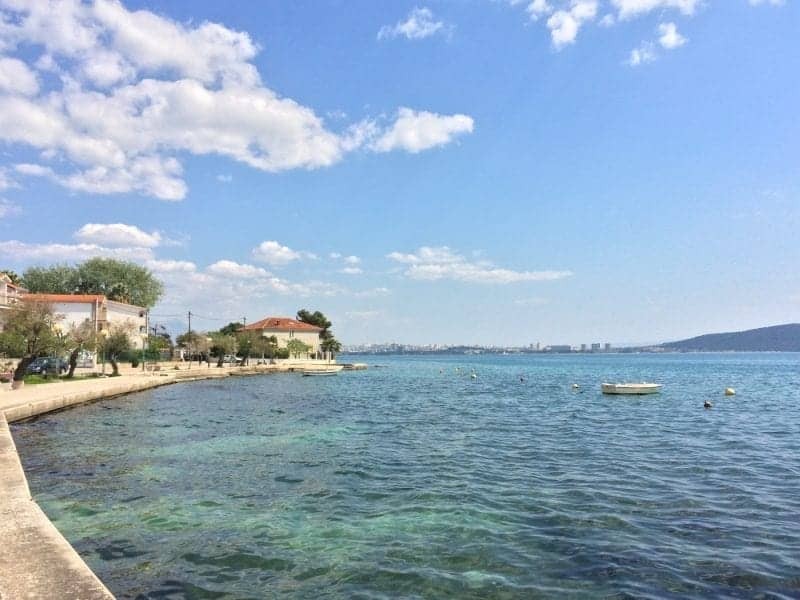 While Split is a great city to explore, there are many other towns and villages in the area worth exploring. So hop on the Bus #37 (this is also the bus that goes to the airport) and get of at stops such as Kastel Gomilica and Kastel Kambelovac. You can walk along the sea, relax by the numerous beaches, go swimming in crystal blue water, or explore the small towns with their beautiful harbours. If you want to discover a beautiful old town on a small island, then Trogir should definitely be on that list of places to visit from Split. To get there, you also take Bus #37 and get off at the last stop. Oh, and if you’re looking for true Dalamatian cuisine, head to Restaurant Baletna škola. You will not be disappointed! Dubrovnik is one of the most visited cities at the Adriatic for a reason. The city lies in the very South of Croatia and is perfect for a weekend trip from anywhere in Europe and preferably in late spring or early autumn. 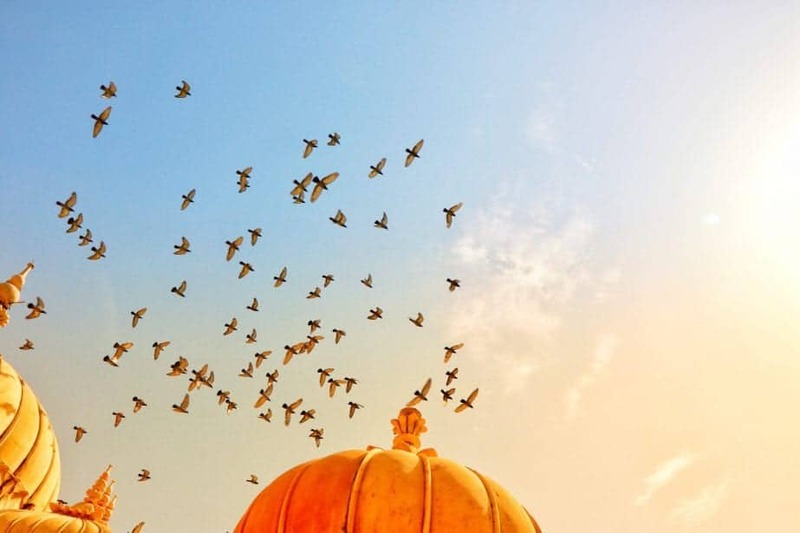 One of the best things you can do in the city it is definitely to take a walk on the Old City Walls that are a UNESCO World Heritage Site and one of the most picturesque attractions. The main entrance to the Walls of Dubrovnik can be found just outside the main gate to the Old Town. You can easily spend two hours wandering around the Walls of Dubrovnik, looking down to the crowded cobblestones streets, over to the old St. Lawrence Fortress and to the close island of Lokrum. Look up to Srđ, the backyard mountain of Dubrovnik and let your gaze wander over the unbelievably turquoise water of the Adriatic. While many flock to nearby Split, if you’re looking for adventure, you should base yourself in Omis. This cute and small historic town packs a lot of punch. With rocky mountains behind you and the gorgeous Dalmatian coast in front of you, you can chose from a plethora of activities. Take a kayak out and go up and down the coast, or for something more extreme, go whitewater rafting and canyoneering in the Cetina river. 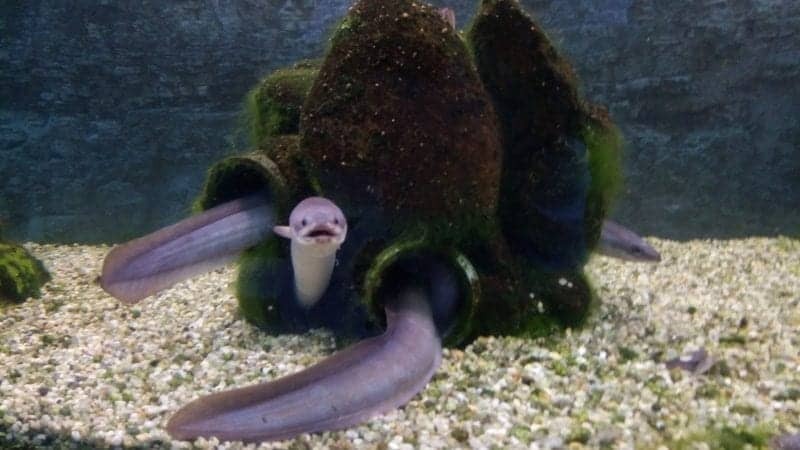 If you’re trying to stay dry, you HAVE to go zipling. 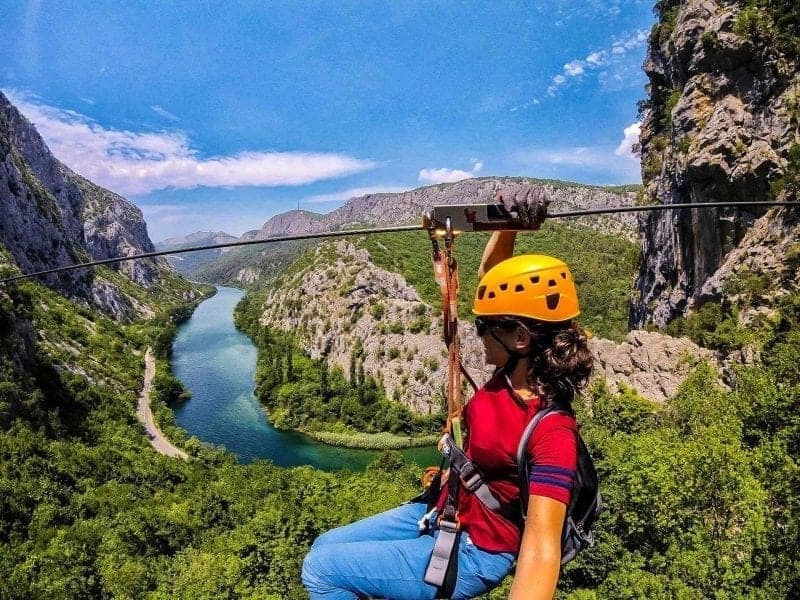 You zip across the rocky mountains and over the Cetina River over a 8 line course that even requires a bit of hiking between the lines. This is no 12 second zip and run and that’s it, it’s a half day run that’s unlike any zip line course you’ve done. If you’d prefer to go horizontal instead of vertical, those crazy rocky cliffs are perfect for rock climbing as well. Omis is one of the best adventure towns Croatia has and it’s best to chill and base there rather than take day trips from the nearby cities. 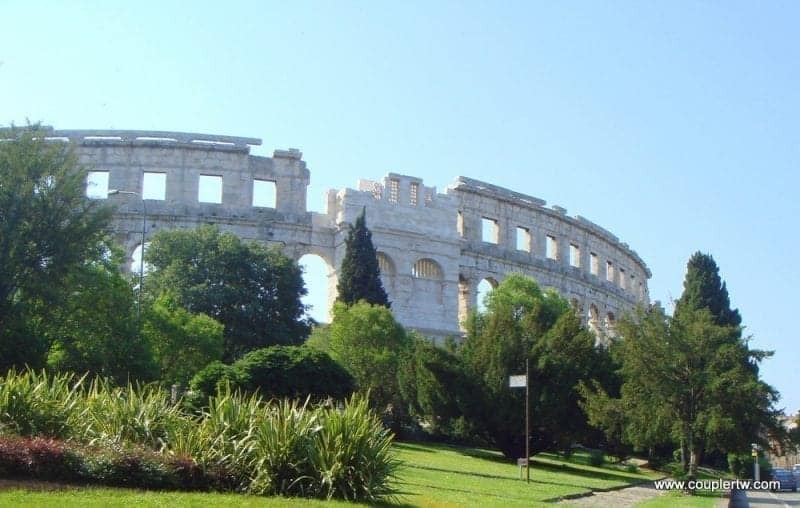 The town Pula in the north of Croatia has the 6th largest Roman Coliseum in the world. This Coliseum was used for gladiator fights and had the capacity for 23.000 spectators. It is one of the best-preserved amphitheaters of the world, dating back to 27 BC. It is quite an imposing monument, the arena has 15 gates and the exterior walls are 32 meters high. You can visit the inside of the arena and climb its stairs. The ticket price for the Amphitheatre is 50 kn, and it is open every day from 9h to 20h, depending on the period of the year. It is an excellent place to learn about the Roman Empire and its influence in Istria while imagining the gladiator fights. We recommend visiting the Amphitheatre of Pula as it is an impressive building and one of the best-preserved in the world. Besides, Pula is a good spot to start your trip through Croatia. 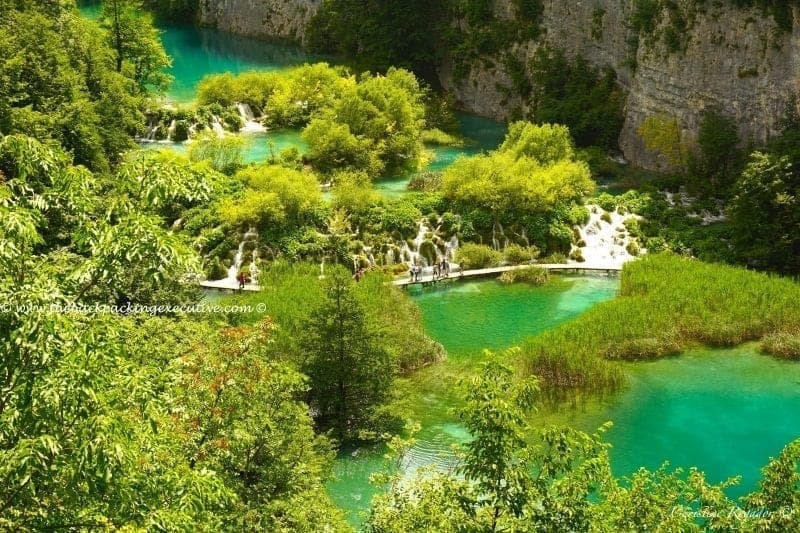 Plitvice Lakes is considered to be one of the most beautiful national parks in the world and also dubbed as one of the places to see before you die by big travel magazines. Known for its beautiful 16 terrace lakes and numerous falls, this UNESCO heritage site should top your list of things to do in Croatia during summer. The turquoise lakes are interconnected to each other and divided into 3 stations. Surrounding the area is a massive expanse of forested hills which creates a very scenic view. The national park is only 2 hours away from Zagreb and an ideal day trip if you want to get away from the city a bit. 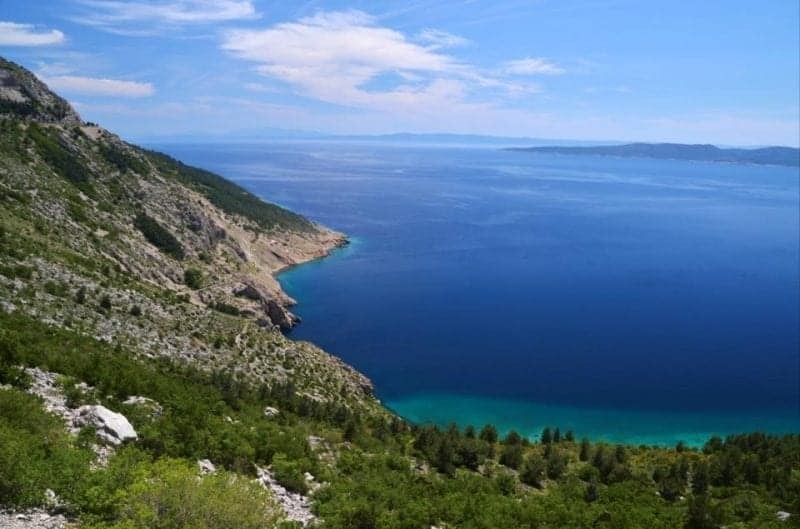 Or if you are on the way to the Dalmatian coast, is also an ideal stop before enjoying the Croatian beaches. Tell me below which things to do in Croatia is at the top of the list!